Thermal R&D Turbo 3" Systems - Dezod Motorsports Inc - Home of the automotive performance enthusiast since 2002. Thermal R&D features a line of exhaust systems designed for Turbocharged vehicles. 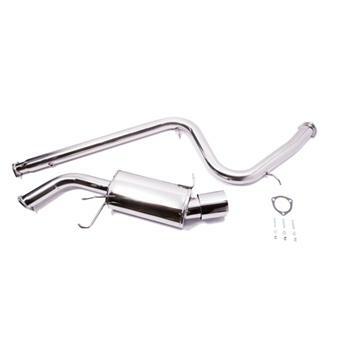 These systems are made of 3” mandrel bent stainless steel pipe and require some slight modifications to your high-flow catalytic converter. We include an extra 3” flange for an easy installation of the exhaust system. These systems are a true 3” and will not connect to a stock catalytic converter.